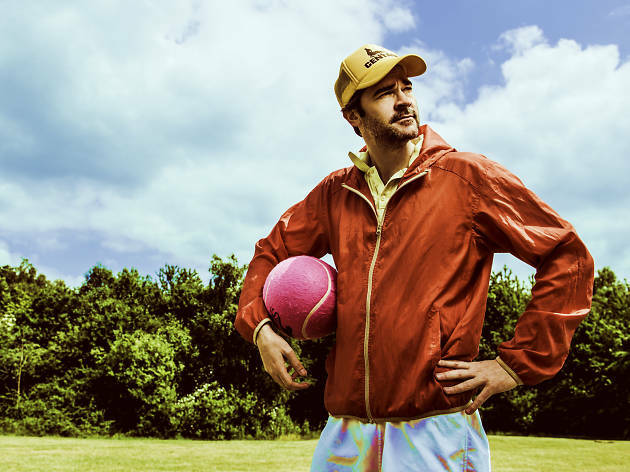 ‘Clear eyes, full hearts, four hooves!’ That’s the motto of the Queen Dome Centaurs, a team of lovable underdogs who are facing off against the evil Courtyard Lizards (both Pleasance venues, in case you’re wondering). The Centaurs haven’t got much going for them – one team member literally has two left hands, another refuses to use his superpowers to win the game – but what they do have is a gum-addicted coach seeking one last shot at redemption. His name [dramatic pause] is Coach Coach. 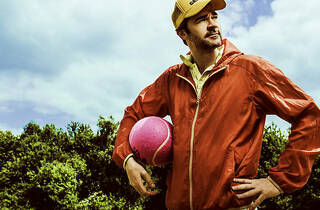 Adam Riches’ latest effort is more of an ensemble piece than his previous character-driven shows, pulling in a large cast of fellow Fringe performers including Liz Smith and Stevie Martin of sketch group Massive Dad, plus solo stand-ups David Elms, Charles Booth, Richard Gadd, Nick Hall and Ben Target. It’s a glorious pastiche of sports movie clichés – devotees of the genre will recognize the Centaurs’ motto as a pisstake of US TV series ‘Friday Night Lights’, while the fictional game of Volksball ends with a ‘Hail Mary’ shot – the Golden Snitch-like point that wins the match. In short, it’s a show that steps up to the plate and doesn’t pull any punches. Surprisingly for a solo performer, Riches isn’t averse to stepping back and letting his co-stars shine – Coach himself is perhaps one of the least outlandish characters onstage, with foremost Lizard Swish (aka former Delete the Banjaxer Dan Cook) stealing almost every scene he’s in. It’s still recognisably a Riches production, though – aside from being the title character, he’s the one who most consistently breaks the fourth wall to playfully mock his co-performers, and it’s he who initiates the now traditional element of immersive audience interaction. What’s surprising about a show that revels in extreme off-the-wall silliness is how its dramatic potential is fulfilled – literally no-one in the room knows how the show is going to end, as the final match is as much down to blind luck as the performers’ athleticism. At the end of the day, ‘Coach Coach’ is a slam-dunk, hole-in-one, home run of a show – and it’s in a league of its own.